East of the River - Gotham Early Music Scene, Inc. Led by woodwind virtuosos Nina Stern and Daphna Mor, SULTANA is a transporting journey through bazaars, kitchens, dance circles, prayer houses, and public squares. Mor and Stern literally breathe life into ancient forms, braiding together the rich musical traditions of the Sephardic diaspora through North Africa and the Ottoman Empire, inflecting the music with infectious Eastern rhythms, and uniquely steeping their performance in the art of improvisation. “Recorder virtuosi" (NY Times) Nina Stern and Daphna Mor, together with percussionist/drummers Shane Shanahan (The Silk Road Ensemble) and John Hadfield (recently featured in Modern Drummer) present a performance with special emphasis on rhythm, highlighting Shanahan and Hadfield's cross-cultural styles and thrilling technique. Based on a program created for New York’s prestigious concert series “Music Before 1800," the repertory spans centuries, from 12th century Armenian chants to original 21st century improvisations. BALADI is a common Middle Eastern rhythm that becomes entirely uncommon in the hands of these dueling percussionists and recorder players, performing battle songs and dance music that dazzle across time and borders. East of the River presents a new program, HAMSA, featuring music from the geographic regions of Andalusia, North Africa, the Ottoman Empire, and the Sephardic Diaspora. Based on music using the melodic modal system referred to as the Maqam, this program mesmerizes listeners with the distinctive beauty of liturgical, folk, and Ottoman courtly music. 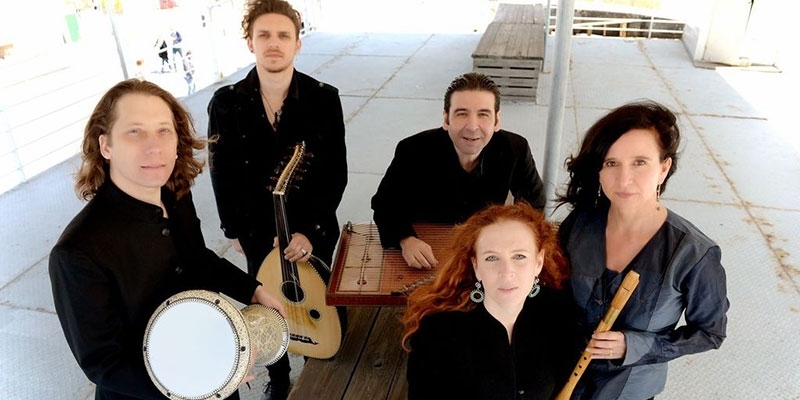 In the spirit of the program’s title, Levantera, East of the River explores Medieval music of the Mediterranean and travels eastward through the Balkans to Armenia and the Middle East, exploring the earliest songs of those extraordinary cultures, together with their traditional dances — the origins of which go back centuries. In this program East of the River lends its innovative blend of sounds to a fascinating and beautiful repertory much of which is little known to today’s audiences. World music supergroup East of the River has a very different type of holiday concert in store with this mesmerizing performance. With a focus on the winter solstice, family, and new beginnings, Solstice: Darkness is Your Candle explores music of the Mediterranean, Balkans, Armenia, and the Middle East, presenting the earliest songs of those extraordinary cultures. Taking it’s name from the work of Persian poet Rumi, the program shifts from a lunar atmosphere in the first half of the program into rebirth and daylight in the second half, creating a unique and unforgettable musical journey for the New Year. "The audience responded with a standing ovation. Hollywood may have tapped elements of this music, but never with the skill, authentic complexity and sheer pleasure produced in this concert." "It was most enjoyable hearing music so different but so well revealed by players who could hardly have been exceeded by anyone exploring these historic eastern cultures in this manner"
"The group played a culturally rich, musically addictive program that traced the migration of Mediterranean, medieval music through the Balkans and into the Middle East and Armenia." East of the River was founded by internationally renowned recorder players Nina Stern and Daphna Mor. The project explores haunting and virtuosic melodies from the traditional repertoires of the Balkans, Armenia and the Middle East, as well as gems of the Medieval European classical repertory. The music is arranged and interpreted by musicians whose musical backgrounds include Classical, World music, and Jazz. Together they create the unique blend that is East of the River. East of the River has performed at venues as various as Bargemusic, Joe’s Pub, Le Poisson Rouge, Hofstra and UPenn Universities, as well as Festivals including Chautauqua Institute, Connecticut, Indianapolis San Francisco and Madison Early Music Festivals, as well as Milwaukee 'Early Music Now' festival and The Academy of Early Music in Ann Arbor. East of the River has been a yearly guest on 'Live from the Greene Space' for WNYC and WQXR. Stern and Mor each have impressive careers as soloists and chamber music players and have appeared as a duo with groups as varied as The New York Philharmonic and the Orchestra of St. Luke’s in venues including Lincoln Center and Carnegie Hall. They were commissioned to present a Duo Recital by the prestigious series Music Before 1800. 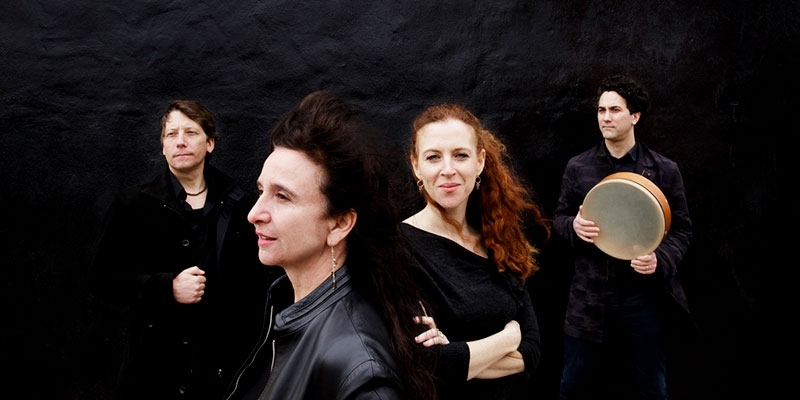 The members of the ensemble have separately recorded and performed with artists as Yo Yo Ma, Philip Glass, Jordi Savall, Sting, Natalie Merchant, Aerosmith, Simon Shaheen, Glen Velez and many others. East of the River released their first self titled album in 2009, and their latest recording “Levantera" in spring 2013. Both highly regarded for their educational initiatives, Stern and Mor have made outreach to the community and musical education a centerpiece of the East of the River mission. When traveling to perform, the group is eager to reach out to the local community by performing or holding workshops in schools, community centers, and cultural organizations.